We’ve been hearing so much of this Hollywood trend, and after all, Hollywood is the capital of beauty detox. 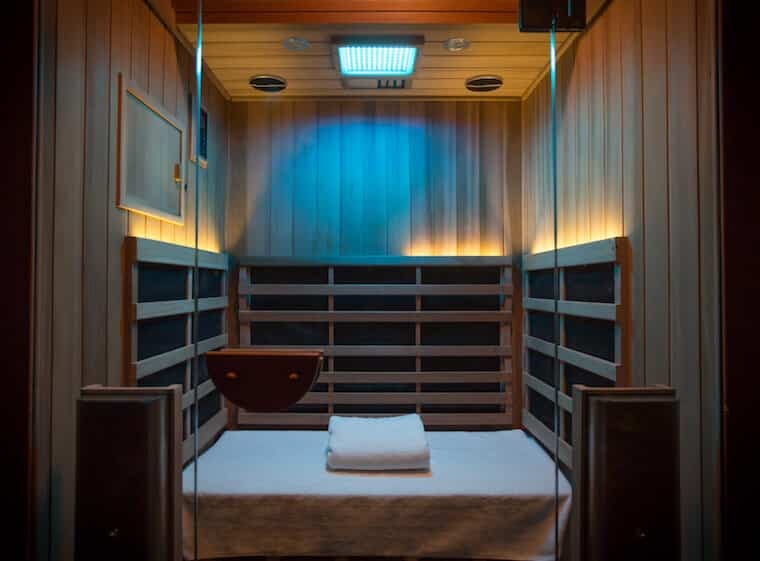 Celebs like Lady Gaga, Gwenyth Paltrow and Selena Gomez are just a few to rave the benefits of the infrared saunas. The infrared rays penetrate the body up to an inch and a half deep causing the liquid within our cells to vibrate, shaking free bonded toxins and allowing them to flow out into circulation and away from the tissue. It detoxifies 7x more than traditional saunas; detoxifies of heavy metals, radiation and environmental toxins. Not only does it burn of up to 600 calories while you relax (supposedly you lose a ton of water weight), it also helps improve your blood circulation, muscles are relaxed and stimulated the circulatory system and oxygenated the body’s cells. It’s a great anti-aging benefit to stimulate collagen production to reduce wrinkles and overall skin tone. How long do you sit in there? Usually you are in a private booth and you sit in there from anywhere to 15-60 minutes. If you’re wondering if this is like hot yoga, it’s not. Hot yoga is forced air, which bacteria grows in. This is an on/off switch which light penetrates deep into the skin, which heats your body up faster. You can purchase a booth for your personal use and this will range anywhere from $3-5k or purchase packages that range anywhere from $90-$200 for 5 sessions. Where to go in LA & NYC? We seriously want to try this asap! Have any of you tried this?